This model is derived from FX-4400. The long arm flat bed gives a wider working space. The presser foot can be lifted manually or by foot treadle. The bobbin winder on top an in may act according to the factory operation requirements making to order operation extra wide middle of the machine head makes the sewing operation very pours sews in front of the nose is the push button type switch easy. 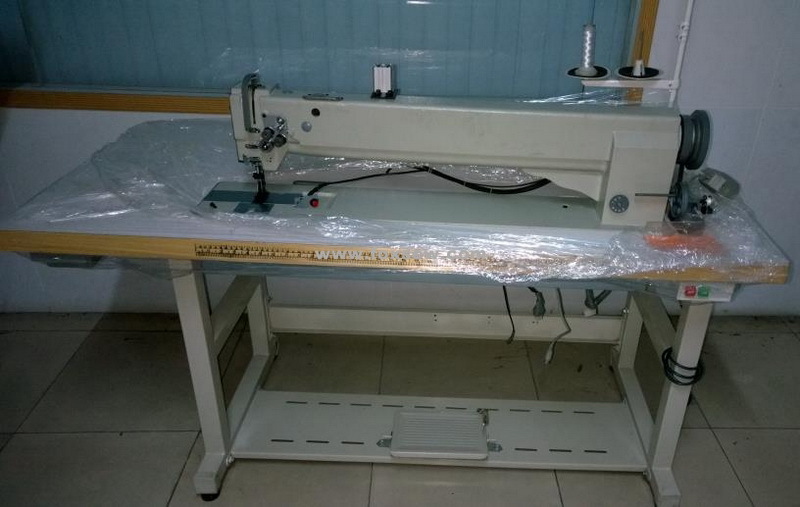 It features smooth machine running, low noise and machine durability, available for stitching car covers, car seats, safety belts, matt tents, parachutes, gliding parachutes, sails and other large work piece. 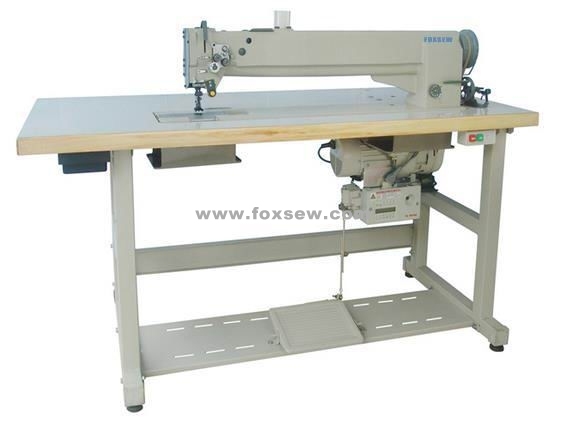 The FX4620 is a heavy duty twin needle long arm lockstitch flatbed Industrial Sewing Machine. The long Sewing Machine arm allows up to 635 mm clearance to the right of the needles, which is approximately two and a half times the clearance of a standard arm machine. The solid long arm is factory cast and offers greater strength & stability when compared to a cut and piece extended arm. It features a triple feeding action by way of: bottom feed, needle feed and walking foot top feed and is fitted with two large vertically mounted hook & bases for use with medium to heavy weight materials. A safety clutch is fitted to help prevent damage to the hooks, bevel gears and other important parts, should the machine become jammed or over-loaded. Used for: Large covers, upholstery panels, summer sleeping mats, car mats, Car Seats, car trimmings, inflatable products, bouncy castles, awnings, tents, parachutes, gliders, hot air balloons, pool covers, sails, lorry curtain sidings, top stitching leather etc... many other large items. 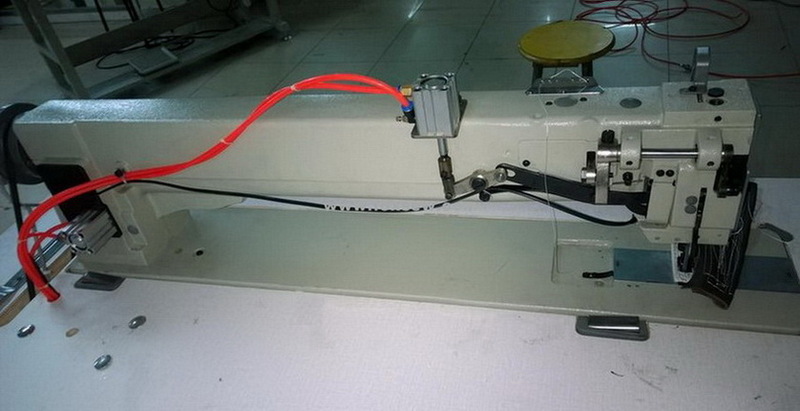 Looking for ideal Double Needle Flat Bed Long Arm Compound Feed Lockstitch Machine Manufacturer & supplier ? We have a wide selection at great prices to help you get creative. 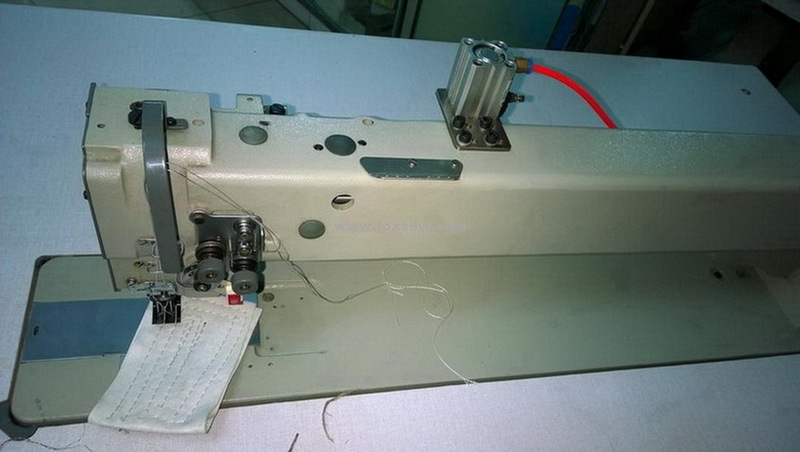 All the Flat Bed Double Needle Long Arm Compound Feed Lockstitch Sewing are quality guaranteed. 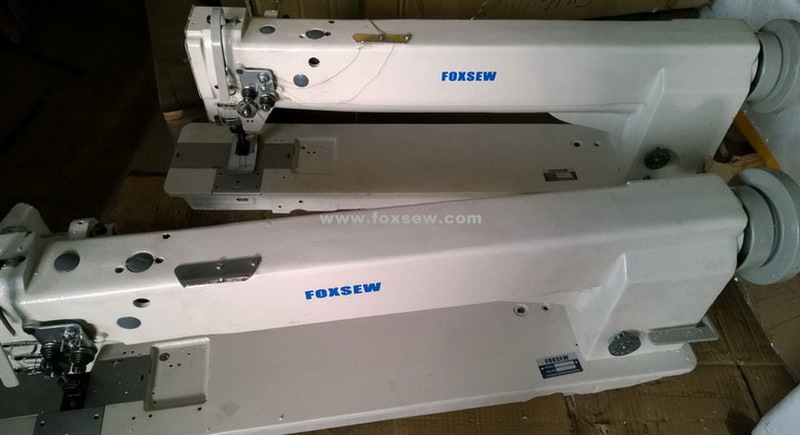 We are China Origin Factory of Double Needle Long Arm Compound Feed Heavy Duty Sewing Machine. If you have any question, please feel free to contact us.